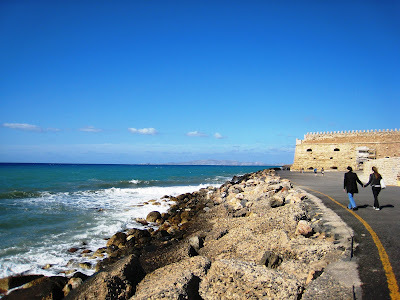 Taken during the recent Easter holidays in Heraklion, Crete 2011. Did I follow the paved path, or did I went into the rocks and have some fun with the water? Sure, it's easier to look silly when no one knows me. But would I dare to do it in Singapore? Hmm.... why the difference? A railway track makes travelling fun! All the bruises from the bumps are not what I want to see! I tend to freeze as my past experiences have shown. I guess it's my fears and inhibitions that I have to beat! Today, K-pop rules. But in the 80s, it was J-pop! She is my favourite japanese idol in the 80s. I have a weakness for the cute "japanese teeth" look. LOL! And below is the Taiwan chinese version. 金瑞瑤 is one of the first generation pop idols in Taiwan. Before lending money to others at a profit, I must check out the market. 2) For credit card companies, they lend money to me with no collateral. But the interest they charge is 24% p.a. (don’t they trust me?). OK, due to competitions, there are often “promotions” – like charging me 6% p.a. for six months if I transfer my debt from other credit cards to them. a) I collect collateral of value from my debtor in advance and charge 6% p.a. b) Or I charge 6% p.a. for max 6 months period (hit and run; life is short!). c) Or I charge 24% p.a. for unlimited loan period. But I will insist on monthly minimum payments to cover the interests. If they miss a payment, I will do “free” exterior decoration services. Now, one stranger asked me for a loan with 6% p.a. unlimited loan period. There is a sweetener that if he does not pay my loan back to me in 7 years, he will give me 2% extra to arrive at 8% p.a. How generous! Meanwhile, I get the 6% interests in 2 semi-annual payments. But the catch is that he can opt not to pay me at all!? He can roll-over the interests into the next year. Like that also can? That means he can promise me the “check is in the mail” perpetually!? Hang on! Did he pledge collateral to me? No! This stranger so very the brilliant! There goes my dream of being “ah long”. While I hesitated, many other people have jumped over me to lend money to this strange at “his terms”. And I thought if I lent money it should be at my terms? I’ve written this letter to you at a time of plenty and smooth sailing. When all the stars are seem to be aligned. But as the days can’t be dark and bleak all the time, so goes that the days of sun and harvest may not last forever. All things in nature have a balance; and do expect the reversion to mean to counter balance the pendulum swings in life’s fortune. When the darkest of days do appear and all seems lost, I do hope you still have the presence of mind to re-read the words I am about to say – for you can distrust everyone; but how can you trust me not? I am you. 1) Material possession lost? It can be regained. Remember how you came to this world? And you can’t bring it along in your next voyage. Travel light. 2) Relationships lost? Yes, this is even more painful than possessions lost. Give time the chance to heal your heart. Lots of time….. Let go. 3) Dreams lost? Indeed this may be the biggest pain and fear I have for you. For a man without dreams is like the walking dead….. I shudder to think such a day may come! I have no solution for you as I don’t know what I don’t know….. But I do hope the below suggestion will be of use. Yes, take one breath at a time. For where there is life, there is hope! You may give up on material possessions and relationships, but never ever give up hope on me! I know you are hurting. And the world around you seems so very dark and cold. You are alone. But don’t you dare give up on me! Breathe! Yes, take another breath. That’s it! Rest, hibernate, and hide yourself. It’s OK. But keep on breathing. 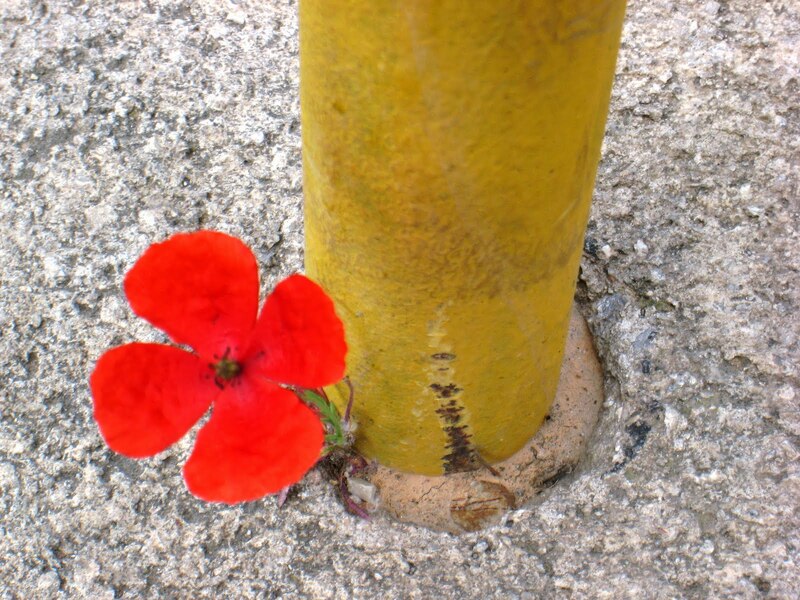 I know not how long it will take; but I do know that if the wild flower can bloom in the most inhospitable desert, so can you! Wait for the summer rain. It will come. Be patient. You have all the time in the world. From the ashes of despair, the phoenix will arise. P.S. No, I have not forgotten it. I know you will ask what if I received news my days are numbered and cut short…. If I am living the life of my dreams, with fulfilling relationships, and have enough – what’s there to regret? You have lived a full life. Move on with a smile you silly man! You should be so lucky! The wind and the sun – push or pull? On a long and uneventful day during the middle of autumn, Sun and Wind were both chilling out up in the sky; bored stiff with nothing to do…. Before long, Wind noticed a lone travelling man walking down below wearing an unbuttoned coat. A naughty idea popped into Wind’s mind that to make fun of Sun. Startled by the challenge, Sun looked at Wind suspiciously; thinking to himself – what is Wind up to now? “No, I am the man!” the Sun countered. “How?” said the Sun, with a questioning eye. Sun was just about to protest to Wind on the “unfairness” of this challenge, but after taking a second look at the travelling man, Sun smiles quietly in his heart. “OK, you go first.” Sun spoke hesitantly, putting his poker face on. Wind rubbed his hands and took a deep breath. Then with all his might, he blew and blew at the travelling man below. To Wind’s surprise, no matter how hard he blew, the man simply buttoned up his coat and marched on. Yes, Wind managed to knock the man off his feet a couple of times, but the coat stubbornly stayed on the man’s back. Finally after turning blue from all the blowing, Wind gave up…..
“It’s a draw! If I can’t separate the coat from the man, there’s no way you can do it.” Wind confidently declared to Sun. Thinking that Sun will accept his “charity” of a draw. “Now not so fast Wind,” said the Sun smiling. The Sun just stretched out his hands and shines his sun rays on the man. Before long, perspirations started to appear on the man’s forehead. And lo and behold! Feeling hot, the man unbuttoned his coat, took it off, and folded it neatly over his arms. Wind realised that it is not the Sun that has outwitted him, but it is he who has dug the hole for himself. Yup, too clever for his own good! And he is not going to be a sore loser. Fair is fair! 1) A religious leader making fun of the practices of another religion. 2) A senior politician making uncalled for comparison with farmers. 3) A salesman trying too hard to sell his viewpoint by belittling the financial returns of a financial blogger. Of course in their defense, all of them meant well. They will say it’s their passion or calling to help “motivate” others to “improve”. But still, it’s still reeks a bit like school during holidays – no class. a) Growing the size of a congregation by X% as and end. b) Using GDP as a happiness index for citizens? And we wonder why we are stressed and not satisfied!? Will numbers pull on my heart strings? I think not! 1) You don’t get it. Oh well, it’s only words….. Although together for only for a short span of 2 years, the Mamas and Papas produced quite a few memorable hits - like this one. This song is still selling and being played today! Sometimes a flash of brilliance as the firework is so captivating - even if the joy is over in a flicker of an eye. 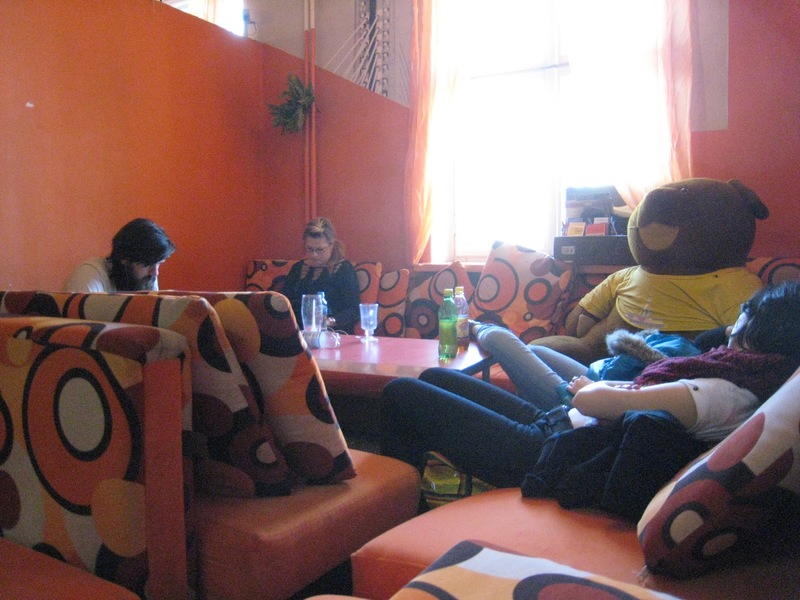 During my business trip at Warsaw, Poland last year, I spent 2 nights at this hostel for my private trip extension. On the 2nd day when I was ready to roam the city, I thought I saw a cool middle-aged Japanese guy checking-in. He was wearing a red bandana and black t-shirt and pants. Looking very muck like one of those chefs at Japanese noodle bars. In the evening when I was surfing the net in the common lounge area, he approached me. Only then did I discover he is a Hong Konger – not Jap! He got 5 classical piano music CDs that he needed to copy into his netbook. And he needed my notebook since I got a DVD drive. He’s here in Warsaw to attend the live classical piano competitions – a classical music buff. While burning and transferring these CDs to my notebook, I took the opportunity to ask him about his travels. Little did I expect this chance meeting would turn out to be one of those memorable people encounters that left a deep impact on me..….. This HK “man of leisure” is 55 years “young”. He left his top management job 7 years ago when he was 47. He was an engineer by training and worked at one of the big telcos in HK. This HK man of leisure has been on the road for the past 7 years!!! To him, vacation is spending 3 months back in HK every year (to plan his next adventure). For the remaining 9 months of the year, he is traveling and exploring different countries. Some of his travel pictures blew me away. I especially liked his trip through the countries of South America. He even took a sea cruise from Chile to the South Pole. Ice-bergs never looked so interesting! Our HK man of leisure travels on the budget – staying at hostels instead of hotels. He prefers this arrangement since he can do his own cooking and meet other young travellers – it keeps him young and invigorated! In his youth, he has no problem going the extra mile (work hard). He is always eager to volunteer and lead projects that can help promote his competence and visibility to management (work smart). This resulted in a series of quick promotions all the way to top management rank. But instead of spending all his extra earnings on cars or fancy lifestyle, he diligently saved. He did not play the stock markets in a big way. Only invested in small amounts here and there; more to get a feel of the market than anything else. He focused on developing his career and accelerating his earned income – he is very conservative when it comes to money. He prefers not to be distracted by so called opportunities in properties or stocks. He wasn’t affected by his peers who liked to brag about how much they have made…. He surprised all his peers and boss at age 47 when he announced his “retirement”. Our HK man of leisure took all his savings and sank them into safe and boring utilities and telecoms stocks. He confessed he has little interests in monitoring the markets - his no.1 passion is adventuring. Just as long the regular dividends can cover his travel expenses, he does not care whether the Hang Seng is up or down. b) He lives with his parents whenever he is back in HK. c) He does not own any properties – hence debt free. There are many routes and vehicles we can use to reach our own version of “financial freedom” – it means differently to different persons. I guess the keyword is we have to know what we really want. Financial goals are not the same as life goals. 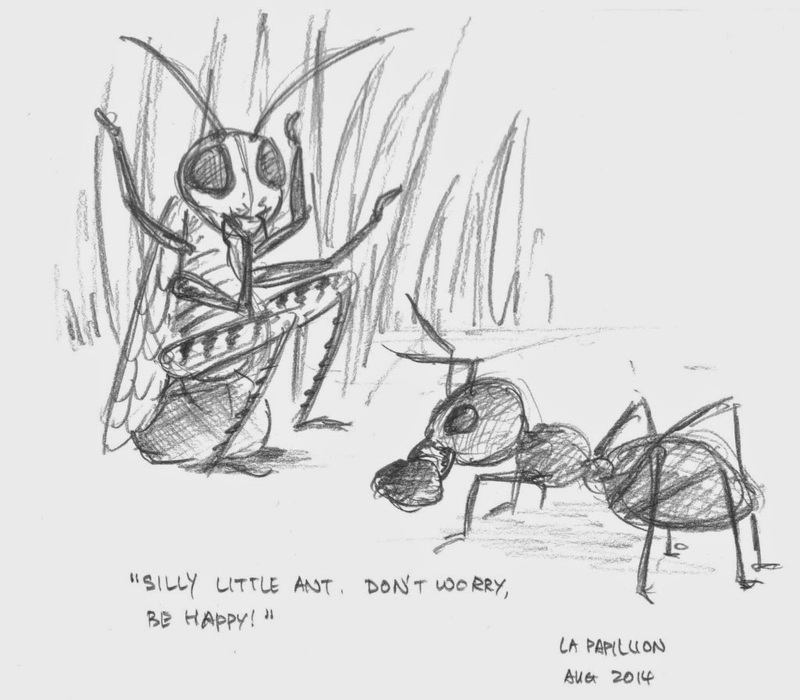 The Grasshopper and the Ant – to have lived or make a good living? In a field far far away, there lived a happy-go-lucky grasshopper and the hardworking ant. There were good friends. The grasshopper love to make merry and play all day long. When hungry he eats, when tired he rests. He has never done a honest day’s work in his life. And planning for tomorrow is something he never taxed his little brain: “Wah lau! Too chime leh. No time lah!”, he likes to say. The ant is different. Since birth, she has been “educated” by her sisters that there’s no need to think for her own self, the interests of the colony should come first. And her role is to work hard, follow the instructions of Queen Mother, forage, and accumulate food for the colony. In return, she will never go hungry and always have a roof over her head. Through spring and summer, the ant watched the grasshopper play while she worked. She welcomed the grasshopper’s company as he always makes her laugh. But when the leaves turned yellow and the chill autumn wind starts to blow, she was concerned for her friend. One winter morning, the ant found her grasshopper friend lying by the side of the frozen lake where they used to hang out for a drink. Her friend does not look well. All the ant could do was to stay by the side of the grasshopper so that he is not alone when the eventuality comes. The grasshopper, though shivering badly from cold and hunger, had a smile on him all the time. He was in fact comforting his ant friend. In his last breath, he whispered his last words to the ant; and passed away peacefully. Winter past and spring comes again. The ant watched the seasons go by – working hard all these times – and when she is advanced in age, the colony celebrated her “retirement” from work. The ant’s reward for her devotion to her colony all these years was a new “cushy” assignment. No more brazing the dangers and strain of working outside the colony. All she needs to do now was to look after her unborn baby sisters, and do housekeeping inside the “comfort” confines of the colony. A few seasons passed and when she knew her time is near, she finally allowed herself to question an independent thought of her own. Nothing clarifies than on one’s deathbed! With the memory of those dying last words, the ant’s thoughts returned to her dark underground reality. That night, the ant passed away. No one knew whether the ant smiled.